Fantastic selection of rare beers, especially from America and Belgium, although the prices are very steep - there's more than a few bottles at £15. Although you'd be hard pressed to compare the going rate without paying for flights. Service was friendly and knowledgeable. It would appear that you need a beard to work here! The place was packed when we visited - the second day of opening - and, as you'd expect from a real ale place, there was only a couple of girls present, heavily outnumbered by middle aged men and 1970's bearded beer connoisseurs. The music was spot on... Tom Petty & The Heartbreakers' "Don't Do Me Like That" is a great tune to sip an India Pale Ale to. It was only the second day after opening so they probably hadn't finished the building work off completely. It's like drinking in somebody's front room, very homely and inviting. There was a beer garden at the back, and more seating upstairs too. Port Street Beer House could well become one of my favourite bars, even if it is on the expensive side. 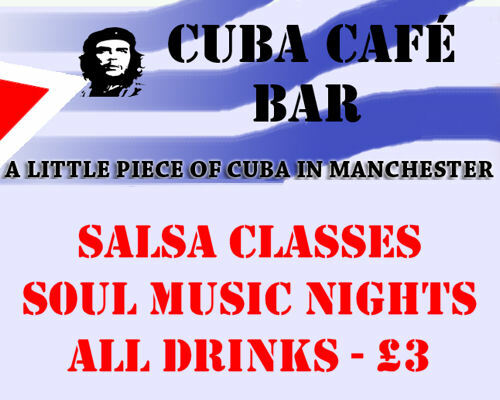 Based next door to Cuba Cafe you could really make a full night of it, with not a bad tune to be heard in either place. 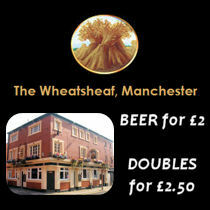 I'm tempted to work my way through the menu but at £12 or £15 for some bottles, I'll save those for a special occassion.